Our passion for the aging community is something we are very proud of, and being able to make a true difference means more to us than words could explain. Our commitment to you is simple: We’ll help your loved one continue to live at home, and we’ll help you find peace of mind. At Visiting Angels, we understand you want top quality senior home care services for your loved one. You are searching for a qualified, professional elder care provider who will treat your family member with compassion, respect and dignity. When you trust Visiting Angels to provide elder care services for your family, it is with the understanding that your loved one’s needs will be met. The expertise of our elder care providers makes it possible for us to provide a wide range of in home care services. 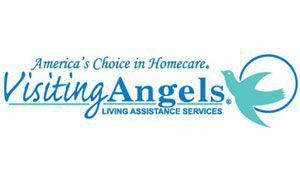 Visiting Angels of Summerville provides care to meet both temporary and long-term needs. Our elder care professionals are available to provide hourly care, overnight care and 24 hour care.